If you routinely experience delays or bottlenecks when surfing the Internet or your intranet, you know how frustrating it can be. 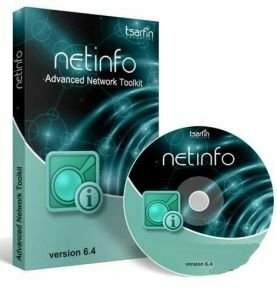 NetInfo analyzes your connection and various aspects of the Internet in order to isolate potential pitfalls. Once it determines where the problem lies, NetInfo provides you with a whole slew of tools that help you solve it. If the problem lies beyond your realm of control and you don't know who to contact about it, NetInfo will give you a name, e-mail address and phone number. 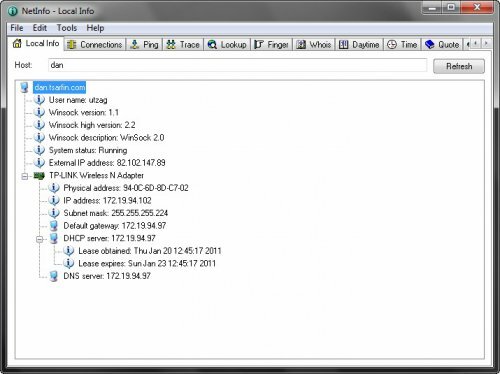 With tools like Local Info, Connections, Ping, Trace, Lookup, Finger, Whois, Daytime, Time, Quote, HTML, Scanner, Services, E-mail, and Web Center, you'll get in touch with your inner NetAdmin geek.